Live horse racing returns to Retama Park on Friday, April 19, with the opening of the 2002 Spring Quarter Horse meeting. The 31-day meet, which will offer over $1.5 million in purse money, runs Fridays through Sundays through June 23, with post times scheduled for 6:45 p.m. on Friday and Saturday and 5:30 p.m. on Sunday. Retama Park will host six Fifty Cent nights this spring, with the first one planned for Friday, May 3rd. Admission is free, draft beers are $1.00, and Pepsi, hot dogs, and programs are only 50 cents. As always, party rides, clowns, face painters and a petting zoo are provided free of charge for the children. In addition to Fifty Cent Nights, Retama Park will celebrate the three Triple Crown races on May 4, May 18, and June 8, with the Compass Bank Brunch on the Rail and Barn Tours between 8:00 and 11:00 a.m., live simulcasts of the famous races, and a full live race card to follow in the evening. On May 11, Retama will be hosting a "Dash to the Challenge" Handicapping Contest. The winner will not only receive $1,000 + 40% of the entry fees in prize money, but he or she will also win an expense-paid trip to Dallas to compete in the National Finals. Please call (210) 651-7053 for more information and details on entering. Highlighting Retama Park's 22-race stakes program are the track's two signature Quarter Horse races - the Grade 1 $300,000-added Retama Park Futurity for two-year-olds and the Grade 1 $150,000 Retama Park Derby for three-year-olds. 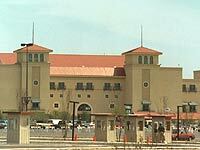 Both will be conducted on the weekend of June 22nd and 23rd and will feature the nation's top Quarter Horses. John Buchanan, Retama Park's leading trainer in 2001, and Raul Ramirez, Jr., the track's leading rider, will be both be returning this season to defend their respective titles. Buchanan ran away with last year's training title by saddling 17 winners and looks to duplicate that feat with a strong stable of horses this year as well. Ramirez, a surprise victor of the jockey title in 2001, has continued his winning ways in 2002 and will be a favorite to repeat this year.